Keep in mind I am not a culinary expert by any stretch, but I do love Mexican food and fish tacos in particular so I thought hey, North County SD might appreciate my Top Five List, so here we go! This place is in a strip mall but get over it, and get in here. Amazing tacos, and great prices. Their standard batter fish tacos are top notch, but don’t stop there. 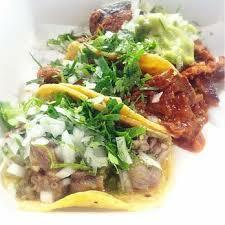 They also offer hot octopus, smoked tuna, lengua (beef tongue) and cabeza (beef cheeks) tacos. Another fav is the pastor, my husband cannot get enough of these and always goes back to order at least one more. Their corn tortillas are always made fresh and hot, and they have a salsa bar to die for. Bonus= the folks that work here are beyond friendly. Forget the ambiance, you won’t find it, and it’s not needed. 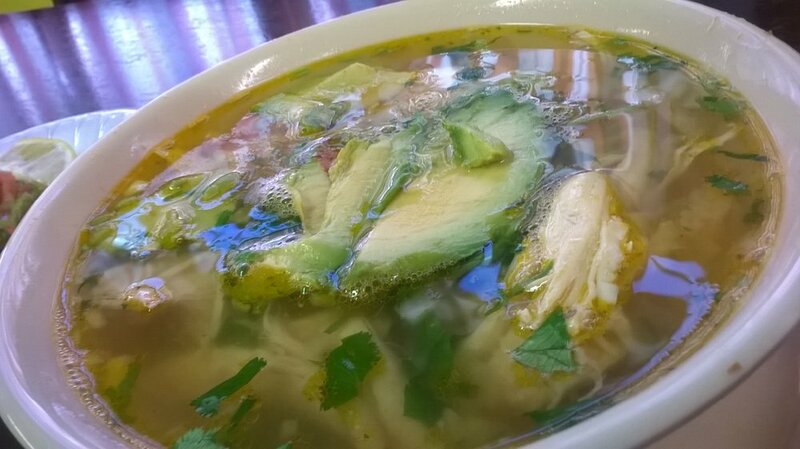 They feature super fresh and darn tasty fish tacos, but even better they serve up the most amazing onion-cilantro-chicken-avocado and rice soup. Ever. These folks started with one location in Oceanside and are now up to six, and that’s because simply put, they have got it going on. They call their food “inauthentic Mexican” which is quite a risky statement in San Diego, but believe you me they deliver. The tacos are awesome. They feature a rotating fish special every day, as well as carne asada tater tots and exotic meat specials like wild boar, chicken heart, grilled quail egg and pheasant to name a few. The Cardiff location is a must see. It’s in the San Elijo Campgrounds with front-row views of the Pacific Ocean. 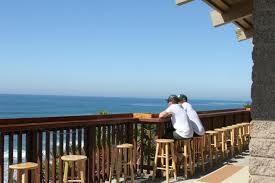 Pretty much a walk up café but well worth bussing your own table for spectacular tacos, and magnificent views. Total hole in the wall, but locals abound in this real deal SoCal taco shop cuz the food is consistently great, they are open late, and the price is right. Surfers and late night revelers a like clamor for the fish tacos doused in signature special white sauce (what’s in there?) and I don’t eat burritos but from all accounts the California is truly the bomb. P.S. Be prepared for limited parking and a line out the door. This is the priciest and fanciest of the group but it must be on my list. It’s a really great place to take out of towners. The menu is extensive, and every item we have tried has been spot on, but I have to give special props to the shrimp tacos in crema sauce, and a shout out to the tuna poke, they are my favs. With an incredible beachfront location right near the pier you are almost guaranteed a fabulous sunset view from the bar, or any table in the joint. The restaurant fills up Thursday-Sunday but if you walk upstairs to the rooftop deck they aim to please with kickass heaters, cozy couches, and a fully loaded bar menu. It is truly a delight. 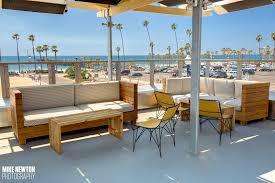 Care to share YOUR top spots for fish tacos and the like in North County?